Christopher C Doyle graduated from St. Stephens College Delhi, with a degree in Economics and studied Business Management at IIM Calcutta. Since childhood, his literally mentors have been Jules Verne, HG Wells, Isaac Asirnov, Robert Heinlein, JRR Tolkien, Robert Jordan and Terry Brooks. Christopher has written articles on management and business for several publications and is regularly invited to speak at conferences. He worked with leading multinationals before setting up a strategic consultancy in India in partnership with a US-based firm. He is also a citified Executive Coach and works with senior executives to help them achieve better results in the workplace. He lives in Gurgaon with his wife, daughter and two dogs. 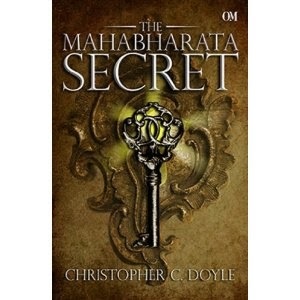 The Mahabharata Secret is his debut novel.